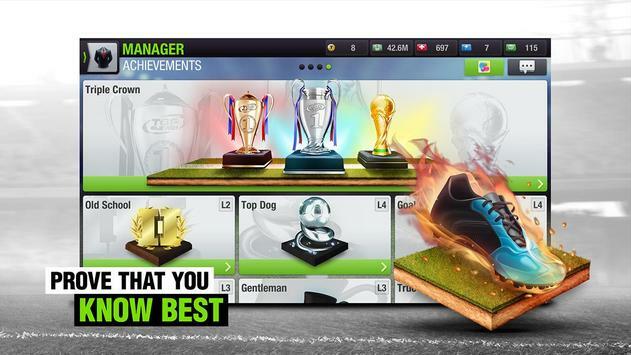 Join over 190 million managers worldwide to become a top soccer manager with the unbeatable excitement of Top Eleven! Build your club from scratch and control every aspect of your team Create your own strategies and formations and take on Mourinho, your friends and millions of other Top Eleven managers on a daily basis. Begin your journey as a soccer manager today and raise to the top! Name your club and build it from the ground up. In Top Eleven you have the opportunity to control every aspect of your club, from training sessions, transfers, squad selection, formation setups, club finances and kit designs. In this free multiplayer game you can join forces and compete against friends or test and improve your skills while playing against other managers from around the globe. 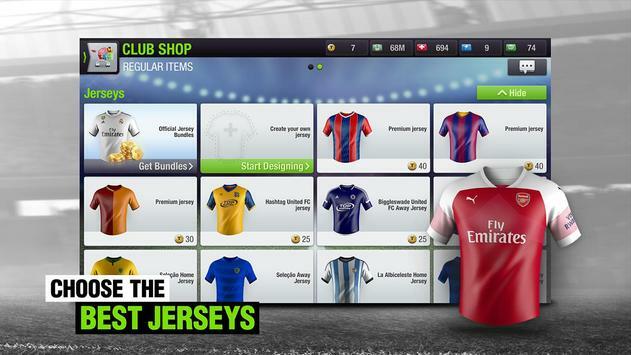 Choose official jerseys and emblems from the Premier League, Bundesliga, MLS, the legendary Champions League and many more soccer leagues. There are players that have managed their clubs for over 8 years and have won successive League, Cup and Champions League titles! Can you beat them? Build and develop your stadium with all surrounding facilities. Scout & sign the best players in the live transfer market. Design your own training sessions to improve your players. 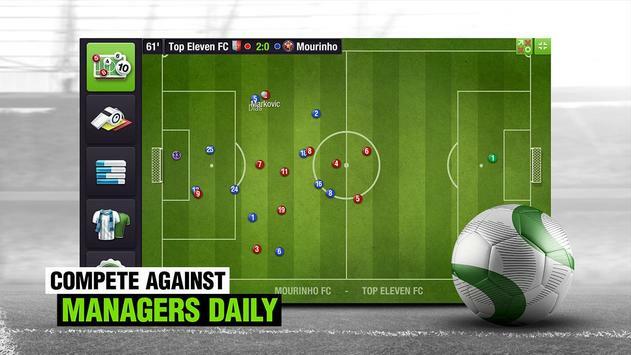 Master your teams tactics and formations. Challenge other soccer managers daily in competitions and friendlies. Give your team instructions and influence the result in the best livematch experience for a soccer manager. Compete in the League, Cup and Champions League. Top Eleven is translated into 31 different languages! Please review Top Eleven Be a Soccer Manager Game and submit your comments below. We will collect all comments in an effort to determine whether the Top Eleven Be a Soccer Manager app is reliable, perform as expected and deliver the promised features and functionalities.